And so proceeded Danaeryzard, Alaria, Ezra and Hendricks through the thick forest on their way back to Castle Drachen. After a day’s worth of walking through the woods, the party made camp as the sun was setting. Hendricks erected a lean-to shelter, Dany started a fire, while Ezra and Alaria hunted for squirrels and legumes to cook in a stew. While they ate and settled in for the night, Dany felt anxious about returning to the place where she was once imprisoned. 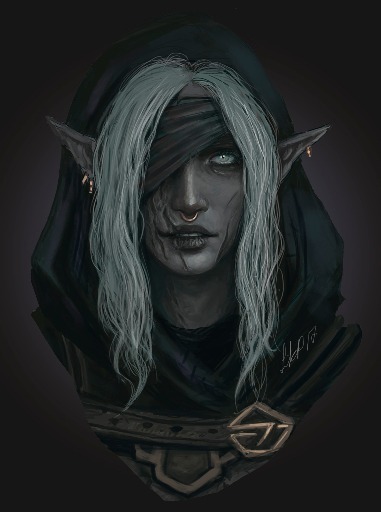 Both she and Alaria also deserted their posts with the Castle’s Expeditionary Guard, and they had every reason to believe that they would not be met with open arms upon their return. “What is the plan when we reach Drachen exactly?” Dany asked hesitantly. Hendricks and Ezra both looked slightly nervous, which gave Dany confidence that they were being earnest and not trying to double-cross them. This battle against the Sun Wizard was becoming increasingly dangerous and with so much at stake, everyone needed to be on their toes. “I’ll stay up and keep watch through the night,” Hendricks said, stoking the fire. Ezra and Dany laid down in the small shelter and Alaria joined Hendricks by the fire. They talked for a while about how mad the Princess will be when they return to the Castle. Hendricks reassured her that he could convince Princess Pena that she and Dany were trustworthy. Reluctantly, Dany was dragged out of bed and traded places with Alaria. She wasn’t in a chatty mood like Alaria, and so Hendricks sat silently, cooking what was left over from their meal. Dany sat near the fire, smelling the food, and feeling her eyes getting droopy. It was Alaria who woke up first, feeling the freezing cold wind on her face. Her eyes popped open in shock – there was snow everywhere! The night before had been warm and temperate, and the snow was certainly unseasonable weather for this time of year! The fire was out, and Dany was sleeping alone beside the smoldering ashes. “Dany! What happened? Where is Hendricks?” Alaria cried, waking up her partner and then rushing back to check on Ezra, who was still sleeping in the shelter. They all stood dumbfounded and bewildered, looking for Hendricks. “What is going on? How – when did it snow? ?” Ezra asked, seemingly to herself. Dany noticed a small box next to the fire that looked out of place. She picked it up and saw there was a tiny handle to turn on the side of the box. Nervously, she carefully turned the little crank and music began to play. At the end of the melody, the lid popped open to reveal a tiny little toy figure of a man! Dany noticed that there was a note still inside the box. Naughty boys and girls get punished. Good boys and girls get gold. Your friend here was very naughty. But if you’re very good, I just might give him back. Follow the lights to me and we shall see. “What? ?” Ezra re-read the note several times furiously. She looked up at the sky and noticed the beautiful, yet completely out of place Aurora Borealis pointing like a beacon straight to the north. “Hendricks is our contact at the Castle! We must save him. Let’s go this way.” They tucked the Hendricks figure back into the box and took it with them as they left the campsite. 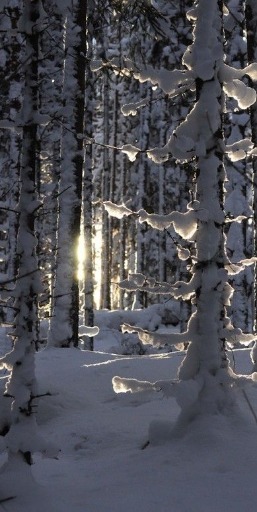 They crunched through the newly fallen snow and made their way to a large clearing with a giant tree in the middle. It’s enormous branches were emanating the colored lights through the sky. Without hesitation, they continued to the base of the tree and began to climb a set a stairs that lead upwards in a winding spiral. After climbing for what felt like miles, they came upon a large tree limb that served as a resting point. Sitting and sharpening blades were two Orcs, who quickly jumped into defensive positions when they saw the three women approaching. “Halt! Who goes there?” one of the Orcs demanded. 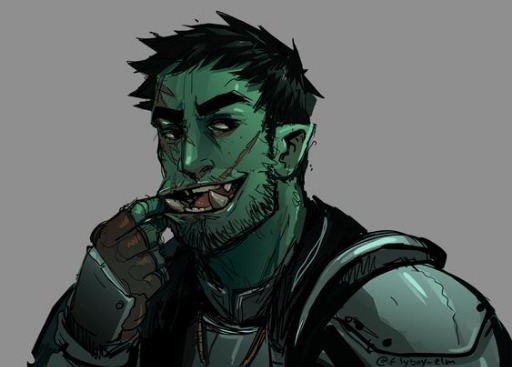 The Orcs looked at one another with confused expressions, then put down their weapons and relaxed. 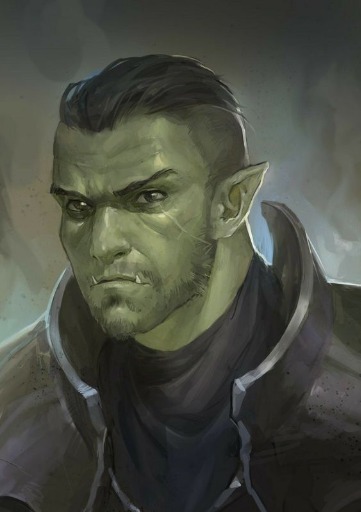 The Orcs began to resume their battle stances, but Ezra stepped forward. “Shut up!” Thazall hissed, turning to quietly bicker with his brother about whether or not these strangers were trustworthy. Ultimately they determined that no, the strangers were not to be trusted. “Fair enough,” Ezra said, folding her arms across her chest. The Orc brothers gathered their belongings and continued ahead up the tree trunk, where the spiral staircase resumed to take them further up the enormous tree. Dany, Alaria and Ezra waited a few minutes and rested, then followed the same path that the Orcs took. The air was getting thinner and they knew they must be quite high up in altitude as they climbed. They came upon another large branch that lead to a resting area, only this one was decorated with hundreds of various weapons that dangled from smaller hanging twigs. The trio stopped and looked in awe at the weapons, wanting to grab them. Resisting temptation, they walked on past the tree branches with shining swords and sharp arrows and made their way up another set of stairs. This time the stairs led to a large room growing in the center of the tree trunk, with walls made of lined golden tree branches that glowed and shined. Peeking through the spaces between the gold branches, they saw that the room was a Throne Room. The Orc brothers that they had met earlier were approaching the throne, yelling at the man who was seated upon it. “I don’t care who is naughty or nice!” they could hear Thazall yelling. Alaria made a little gasp as they watched Thazall pull out his sword and charge towards the throne. 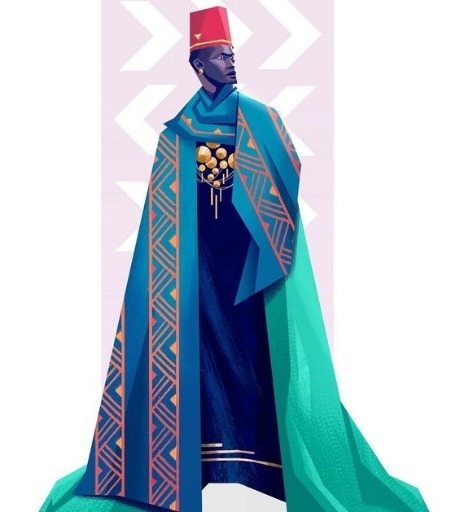 “Naughty indeed!” said the man on the throne, who then stood up and snapped his fingers. The Orcs were suddenly frozen in place, and quickly began to shrink before their eyes. The man began to laugh as two torches behind the throne lit up magically. “Did he just turn them into figures?” Dany whispered as they watched the man pick up the now shrunken Orcs. The man played with the new ‘toys’ he had just made, miming a little battle between them before tossing them on a pile of other toys that were sitting next to the throne. “Seems like I have more company. You know, spying isn’t nice!” the man called knowingly, and quite loudly in their direction. He snapped his fingers once again and the trio found themselves standing before him in the middle of the throne room. “Hello! I am J. F. Rost, and this is my Throne Room. Did you come here to play?” His voice was high pitched and screechy, like the sound of nails dragged across a chalk board. “What did you do to Hendricks?” Ezra demanded, showing no sign of fear. “We want our friend back!” Alaria cried out. 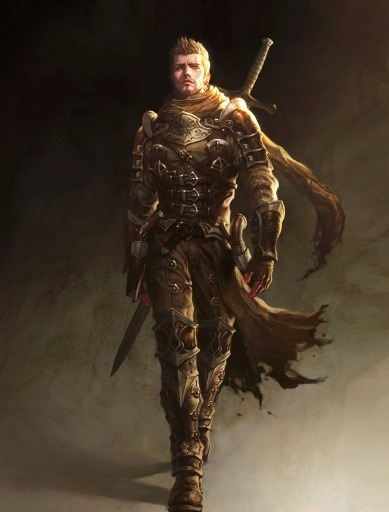 Ezra stepped forward, grabbed a dagger from her holster and threw it with lightning speed at J. F. Rost. To their dismay, the dagger froze in mid air just before it hit the man. Frost covered the dagger and it dropped to the snow covered floor of the Throne Room with a thud. “That was your plan? !” Dany blurted out. J. F. Rost began to laugh, and the piercing high pitched howls echoed through the room. Pulling from behind him three magic top hats, J.F.R. tossed them out into the space between himself and where Ezra, Dany and Alaria were standing. The hats landed softly on the snow and after a flash of light, the floor was rumbling lightly. 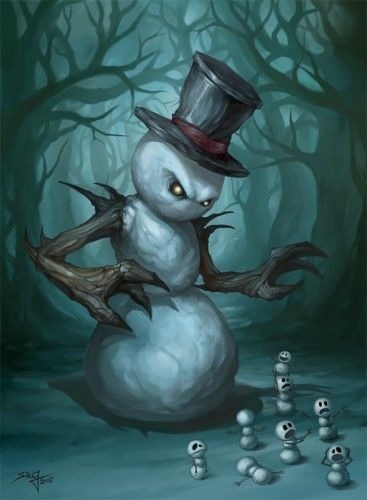 From beneath the black top hats, large snowballs were amassing and growing, until there were suddenly three menacing, evil snowman standing before them with long pointed branch arms that reached out for them, ready to attack!